1. You will always know when it’s low tide because your spouse will be on the beach. 2. Your house will shimmer with jewel-toned color when the sun hits the sea glass in jars on every conceivable spot in your house. 3. Your spouse will love jewelry made from sea glass, which costs less than your wedding ring. 4. It’s a hobby that does not cost anything. 5. It’s cheaper than an afternoon of shopping. 6. It’s good exercise and no gym membership needed. 7. You can’t accidentally break your spouse’s favorite jewel because it’s usually broken to begin with. 8. Finding a piece of rare sea glass makes a collector happier than anything you can buy. 9. The glass will decorate your home with true, authentic beauty. 10. 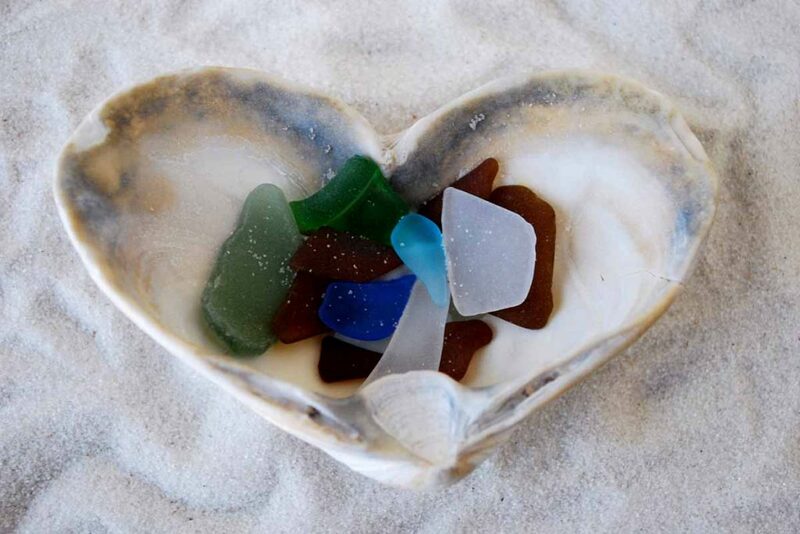 You can enjoy sea glass together. Just sit on the beach, relax and watch your spouse look for it.